The 10,023 foot summit of Haleakala is a popular destination to go, but that means a long drive up a volcano in the middle of the night! If you prefer to explore Maui in the daylight hours, choose one of these tours below. You can still get your sleep on your vacation, and enjoy the wonders of Haleakala and the island! This tour will will bring you to significant cultural sites and you will learn how ecological systems function and more! Immerse yourself in the island's culture, farming practices, bird watching, food practices, fishing, climate zones, and how Hawaiians malama aina - care for the land. 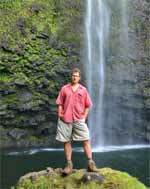 You will also learn about the ancient Hawaiian watershed system, ahupua'a, from summit to fishpond. This tour is on offered Monday, Wednesday, and Friday. The tour includes complimentary hotel pickup and return. South and West Side Hotel/Condo pickup are between 6am and 7:15 am, and returns are between 4pm and 5pm. 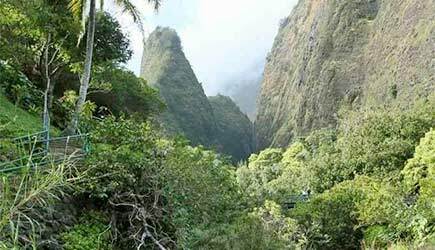 The entrance fees to Haleakalā National Park and ʻĪao Valley State Park are also included. Enjoy all you can drink non-alcoholic beverages. Two meals are provided on this tour. Breakfast at 7:30am at Cafe O'lei (Maui Lani) and a lunch picnic. 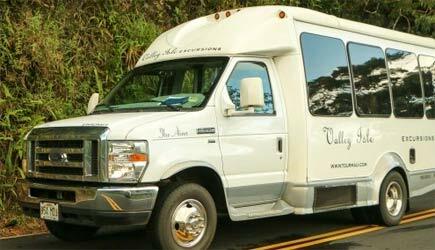 This mauka to makai tour includes sites such as Iao Valley, Haleakala National Park Summit Area, Upcountry Maui ranches & towns as well as other special areas like Kealia Wildlife Refuge, Kula and Paia too. Guest have stunning photo opportunities including waterfalls, religious, cultural and biological points of interest. Start you day by exploring central Maui with a light tropical continental breakfast of pastries, coffee, tropical fruits, juices with the stunning views of the West Maui Mountains. The Haleakala National Park is their official introduction to the Park. You will learn about the land and its significance to the Hawaiians. Before entering the "house of the sun", you will follow Hawaiian protocol and announce ourselves. 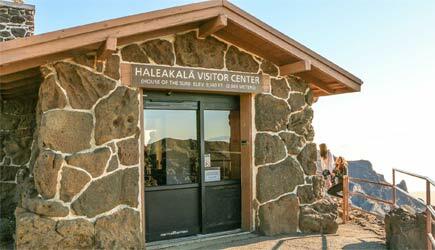 On the ridge of the Haleakala valley, the Summit Visitor Center, provides a breathtaking and panoramic view. 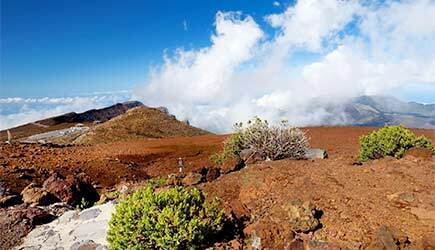 At the peak of the Haleakala, just above the Visitor Center, enjoy the 360 degree views from the Red Hill Observatory. This stop is only available on the 12 passenger van. 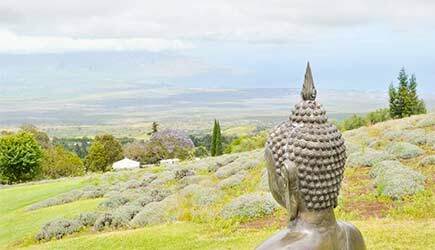 Explore the beautiful Upcountry Maui where the winding roads take you through the island's upcountry towns, ranches and forests. Each with their own unique character and story! This area also offers some of the best flower farms in Hawaii along excellent views! A classic upcountry lunch is included in the tour at on of their many picnic locations. The locations are chosen based on views and weather. The picnic lunch includes baked BBQ chicken, mixed green salad, mac sald, dinner roll, curry vegetable noodles (vegan), cold juice, water, and soda. The guides/drivers are professionally trained, knowledgeable, safe, and fun. They are also NAI (National Association of Interpretation) trained and certified. The custom cruisers have giant panoramic viewing windows, elevated seats, air conditioned, reclining captain's chairs, over head storage, and extra leg room. The high back leather seats have headrests, extra thick padding, 3 point seat belts, armrests, and USB charging ports. The ADA Compatible options include wheelchair lifts and disabled options and it must be resrved at least 4 days in advance. On board there is an oxygen generator, AED, and all guides are first aid and CPR certified. Their custom cruisers come in both 12 and 24 passenger sizes. The group sizes are limited to 12 guests per guide, and a second guide is added to the larger vehicles to increase your comfort, safety, and experience. They ensure there are clean an well-maintained bathroom stops. 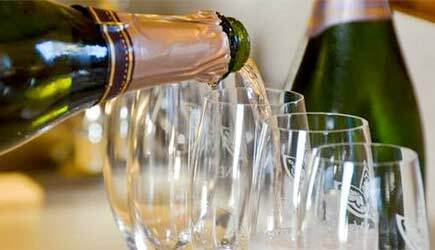 MauiWine experts will guide you in winetasting! 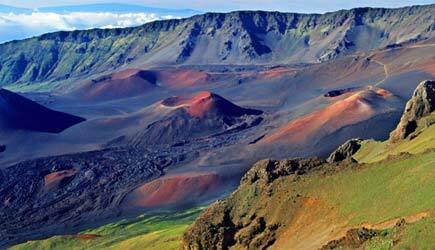 Witness the beauty of Haleakala and Upcountry Maui! Enjoy the ride in comfort! 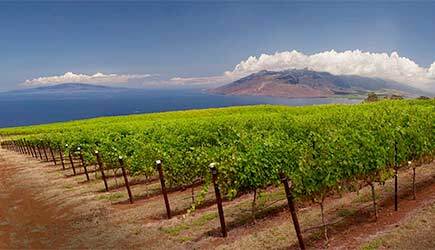 Experience Haleakalā National Park and Maui's award-winning winery, MauiWine, in one spectacular day! This tour is offered Monday, Wednesday, and Friday (closed on Thanksgiving Day, Christmas Day, and New Year's Day). It includes continental breakfast before summit, park entrance fees, lunch at Ulupalakua Ranch Store, and MauiWine tasting and tour. Along with your choice of burgers, salads, and sides, your lunch includes chips, water or root beer. As you climb the summit of Haleakala, you will have panoramic valley and ocean views in all directions. The tour stops at the visitor center, summit district, and Red Hill observatory. As you witness the majestic views, learn about the flora and fauna along with the cultural significance of this sacred place. After the park, you journey to MauiWine for a hosted lunch at the neighboring Ulapalakua Ranch Store. MauiWine experts will give you an exclusive wine tasting experience, and you will have time to sample wine and stroll through the beautiful property. 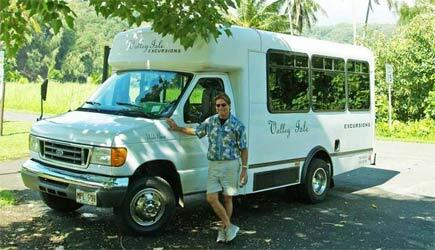 After enjoying the winery, you will travel from Upcountry Maui back to your hotel or accommodations. Hotel/condo pickup and drop off is included in the tour. Pick up time is between 6am - 7am depending on your location, and you will return around 2pm. 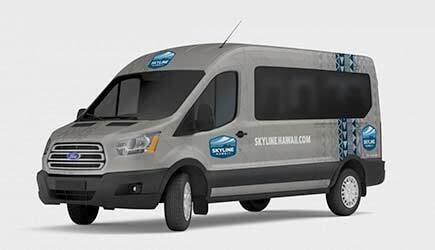 You will be transported in comfort with a new fleet of guided tour vehicles. They are equipped with comfortable seating, climate controlled interiors, and large viewing windows. 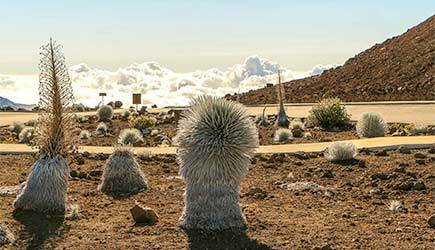 Their professionally trained guides will teach you the history of Haleakalā National Park, flora, fauna, and cultural significance of the area. The tour guides are NAI (National Association for Interpretation) Certified. They will ensure you get many photo incredible opportunities. Don't forget to bring your camera! They recommend that you dress in layers, because the summit of Haleakalā is over 10,000 feet above sea level. Temperatures can drop to near or below freezing in the early morning, so dress in warm clothing, shoes and socks. In case you forgot to bring a jacket on your vacation, Skyline will provide a cozy summit jacket and warm gloves on the tour. Bring your sunglasses, sunscreen, and wear any clothing that helps block the sun. No scuba diving within 24 hours of this tour. No smoking is allowed on this tour, and it is not recommended for people cardiac or respiratory conditions due to high altitudes. Check out the visitor center, summit district, and Red Hill observatory! Have an unforgettable day exploring Haleakalā National Park, Ali'i Kula Lavender Farm, and Upcountry Maui! This tour is offered Monday, Wednesday, and Friday (closed on Thanksgiving Day, Christmas Day, and New Year's Day). 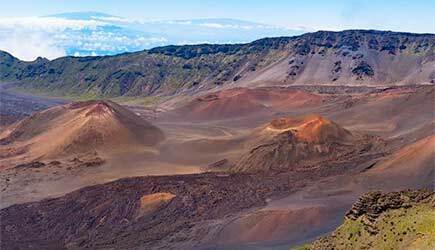 Experience the vastness of Haleakalā National Park, while enjoying many views of untouched Hawaiian nature. At the park the tour will stop at the visitor center, summit district, and Red Hill observatory. 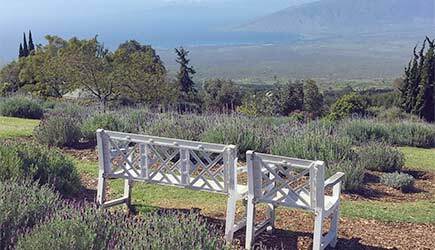 Next stop is the Ali'i Kula Lavender where you will dine on a hosted lunch with incredible ocean and valley views. After lunch, enjoy a guided tour of Ali'i Kula Lavender and you learn the history of the farm and it's Ohana (Family). You will have ample time to walk through the beautiful lavender grounds, gift store, or you can relax and enjoy the views. Before heading back to your hotel or condo, you will get to spend 30-45 minutes walking around the historic paniolo (cowboy) town of Makawao. Visit the many unique art galleries, gift shops and boutiques the town has to offer. Transportation is included on this tour, and pick up is between 6am and 7am. The tour vehicles have large viewing windows, comfortable seating, and climate controlled interiors. The tour guides are are NAI (National Association for Interpretation) Certified, and they are professionaly trained. 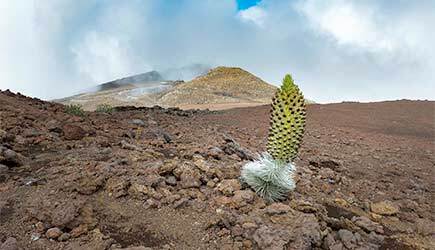 The guided narrative will teach you about the history of Haleakalā National Park, flora, fauna, and cultural significance of the area. And they will ensure that you get plenty of photo opportunities, so don't forget your camera! Lunch is also included on this tour. Along with your choice of wraps, sandwiches or salads, lunch also includes gourmet chips, a decadent Lavender-Infused Dessert and a choice of beverage. Due to the high elevation on Haleakala, they recommend you dress in layers, warm clothing, and wear shoes and socks. Temperatures can drop to near or below freezing in the morning. In case you didn't bring a jacket on your trip, you can borrow a cozy summit jacket, as well as warm gloves. Bring sunglasses, sunscreen, and wear clothing that helps block the sun. No scuba diving within the 24 hrs prior to tour. No smoking is allowed, and this tour is not recommended for people with cardiac or respiratory conditions that may be impacted due to high altitudes. Pride of America cruise ship passengers are able do the Haleakala Day Tours on their second day in port in Kahului. Haleakala Daytime Summit and Maui Wine Tour and Haleakala Daytime Summit, Lavender Farm and Makawao will pick you up at the harbor. Haleakala, Upcountry, and Iao Touris not recommended for cruise ship passengers. When most people hear the word "Haleakala" they think of watching a sunrise at the top of this 10,000 foot tall volcano. Sunrise tours are indeed popular, but for those who don't want to get up in the middle of the night during their vacation, these day tour options are a great way to see the crater. As a matter of fact, the cinder cones and colors of the crater actually show up better for viewing (and especially for photography) a little later in the morning whent he sun is higher in the sky. At dawn, the sun is glaring in your eyes when it appears and the inside of the crater is backlit. With the sun higher in the sky, the details start to emerge and the red cinder cones show up the best. The mountain is also less crowded during the daytime hours. Crowds got to be such an issue at sunrise that the park had to restrict the number of vehicles (both private cars and tour coaches) that are allowed into the park prior to the sunrise. The specific tour that is right for you will depend upon your interests. Look over these options and decide which is right for you. Whatever you do, don't come to Maui and miss seeing the inside of this wonder of nature!" Minimum age for the Wine Tour is 21. Child ages for the Iao Tour is 12 & under, and Lavender Tour is 13 & under.